Buy 3, get 2 FREE! 5 bottles of 250ml Liposomal Curcumin & Piperine encapsulated with Fulvic Acid and MCT using Fulvisome™️ Technology for the price of 3. Turmeric has had a lot of press lately. 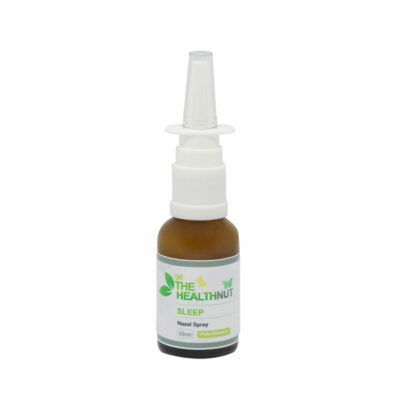 It’s heralded for its ability to reduce inflammation, boost the body’s antioxidant systems, and improve cognitive functioning. 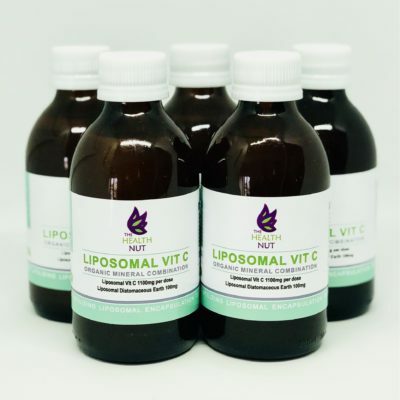 The Health Nut’s Liposomal Curcumin, CurcuBoost utilizes a super-concentrated extract of turmeric root, formulated with a cutting-edge nutrient delivery system, to create an elixir of unmatched bioavailability and potency. 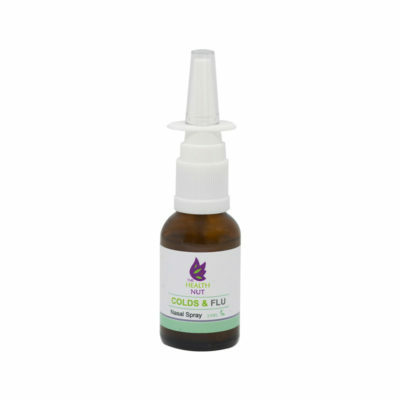 Full Spectrum Extraction – While other turmeric extracts deliver only one or a few of the root’s active alkaloids, our extraction contains the full spectrum of turmeric alkaloids, just as you would find in raw turmeric root. Full-spectrum extracts of turmeric have been shown to stimulate production of powerful antioxidant enzymes in the body, “turning on” our body’s innate healing response. 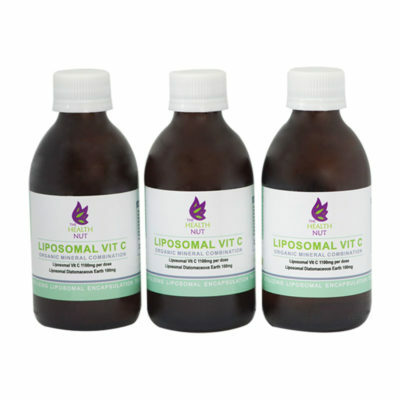 • Liposomal Delivery – In their raw form, turmeric’s potent alkaloids are poorly absorbed by the digestive tract. To address this, we used Fulvisomes™️ to create a powerful liposomal turmeric product. By binding the turmeric alkaloids to a specific MCT (medium chain triglycerides) fat, CurcuBoost dramatically improves absorption into the body. Studies have shown that liposomal delivery makes turmeric’s healing alkaloids up to six times more bioavailable. • Piperine – Under normal circumstances, a large portion of the turmeric alkaloids are broken down in the gut before they can be absorbed. Piperine binds to curcumin to inhibit an enzyme in our gut, drastically reducing this premature break down. Studies have shown up to a twenty-fold increase in bioavailability when turmeric is paired with Piperine and its lifespan in the body increases. Who should use CurcuBoost ? 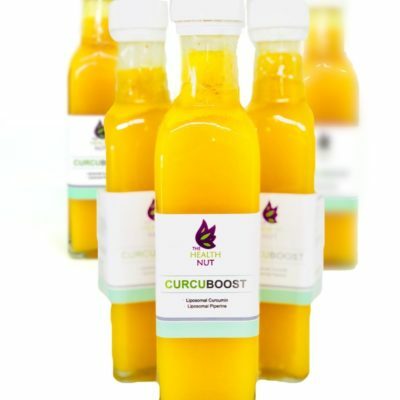 The Health Nut’s CurcuBoost will be particularly beneficial to anyone suffering from joint or muscle pain, stiffness, and other arthritis symptoms. Because CurcuBoost has such anti-inflammatory capabilities, it may also help with conditions of low energy, foggy brain and fatigue. First and foremost, it is believed that CurcuBoost works by inhibiting a critical enzyme in the inflammatory process in our body. This can produce the most dramatic reduction in pain and inflammation. CurcuBoost is remarkable because it also stimulates our body’s own antioxidant systems, improving the body’s ability to heal on its own. How do I use CurcuBoost ? Drink at least 10ml of CurcuBoost every day, preferably with a light meal. If your pain or inflammation is severe on a particular day, a second 10ml serving can help provide additional relief. The beneficial effects of CurcuBoost are two-fold. Most people experience a reduction in pain symptoms from the very first time they take CurcuBoost, usually within 30 minutes of consuming. For other people, it takes a bit longer and the full benefits are not seen until CurcuBoost has had a chance to work consistently for a week or two. 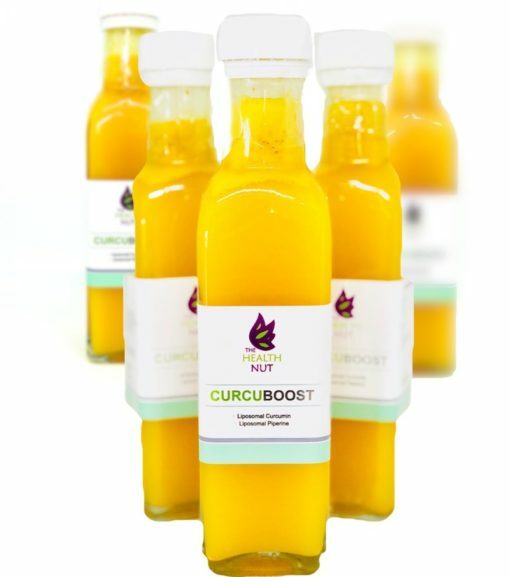 To experience the full effects of CurcuBoost, it is recommended to continue to consume at least one 10ml serving per day for a minimum of two weeks, such that the full benefits (stimulation of the antioxidant systems, improved brain health etc.) are allowed time to sufficiently develop. Do I need to refrigerate CurcuBoost? Nope, CurcuBoost is very shelf stable. To help support a healthy inflammation response and healthy energy levels, take 1 10ml serving daily. Shake gently. CurcuBoost forms 3 distinct layers. A top yellow, curdy looking layer, a middle amber yellow layer and a fine red line on the bottom of the container. Each layer has a distinct purpose. The top layer contains Lauric acid, found in coconut oil and Curcumin. Lauric acid is the longest of the three medium-chain triglycerides (MCT). 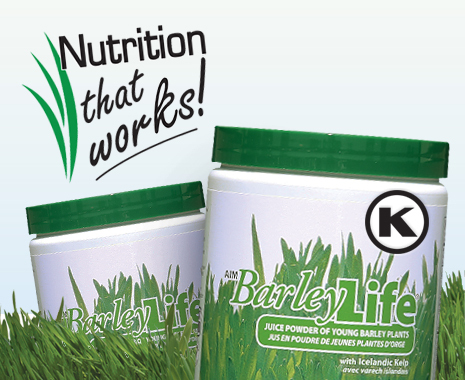 When lauric acid is ingested, it metabolizes and produces ketones (healthy for the brain) and cellular energy. It is also cited that Lauric acid exhibits anti-microbial activity. Digested Lauric acid forms a substance called Mono-Laurin. Both Mono-Laurin and Lauric acid have broad spectrum antibiotic effects, destroying harmful pathogens (Carpo BG, et al 2007). The amber, yellow layer is the Liposomal (FulviSomes™) form of Curcumin. Turmeric has long been used as a spice in food. The yellow pigments in Turmeric are Curcuminoids. Studies have shown remarkable results in Cancer research of the efficacy of Curcuminoids to manage inflammation amongst others. The Health Nut’s CurcuBoost has encapsulated Curcuminoids (extracted with proprietary technology that protects phytochemicals) in FulviSomes™, thus enhancing the absorption and function of the Curcumin. Studies also have shown that Piperine is essential to catalyse the efficacy of Curcumin. The same studies show that Piperine extends the half life of Curcumin, resulting in longer residence and efficacy in plasma and cells. The thin red layer at the bottom of the bottle is extracted Curcumin and Piperine. Curcumin and Piperine in Fulvisomes are absorbed rapidly through the gut lining into the blood. We have added a little extra to ensure residency in the digestive system. 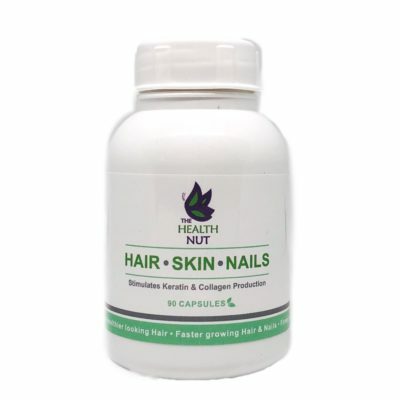 Studies have shown that the derivatives formed during this break down process is of immense value to the body. CAUTION: When taking Anti-coagulants and diabetic medicines, consult your medical practitioner before taking CurcuBoost. Curcumin has been shown to have an effect on blood sugar levels and thinning of blood. Children under the age of 16 should also consult their medical practitioners before using curcumin products. Shaking the CurcuBoost gently, before drinking, distribute the precipitate quickly. This product has not been evaluated by the Medicine Control Council. This product is not intended to diagnose, treat cure or prevent any disease.